Helping companies find their perfect retail or office space for over 100 years. 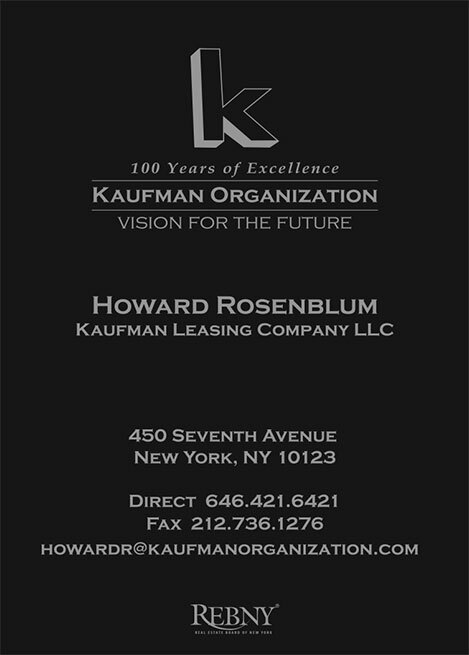 The Kaufman Organization has been working with KathodeRay since 2001. 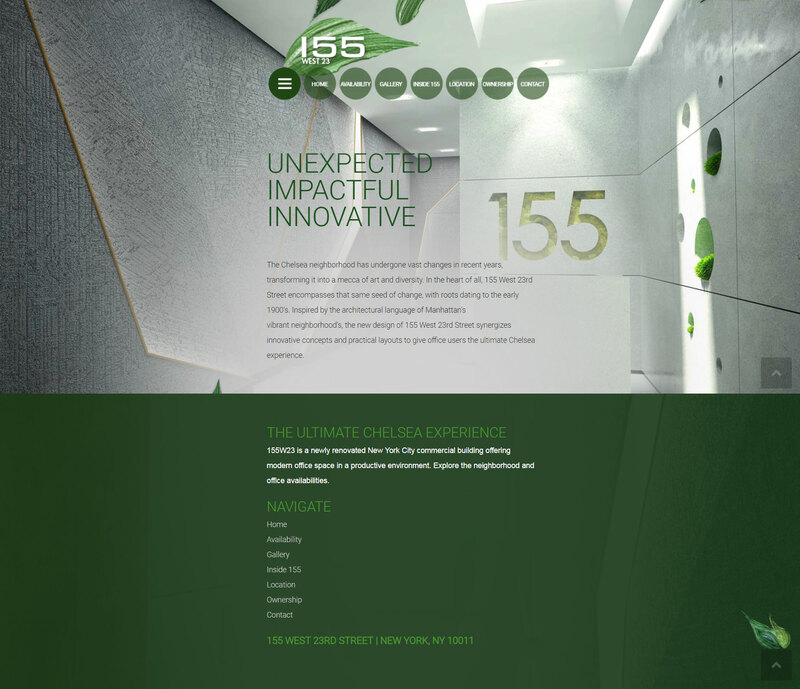 It all started with a single poster design for their property management arm. 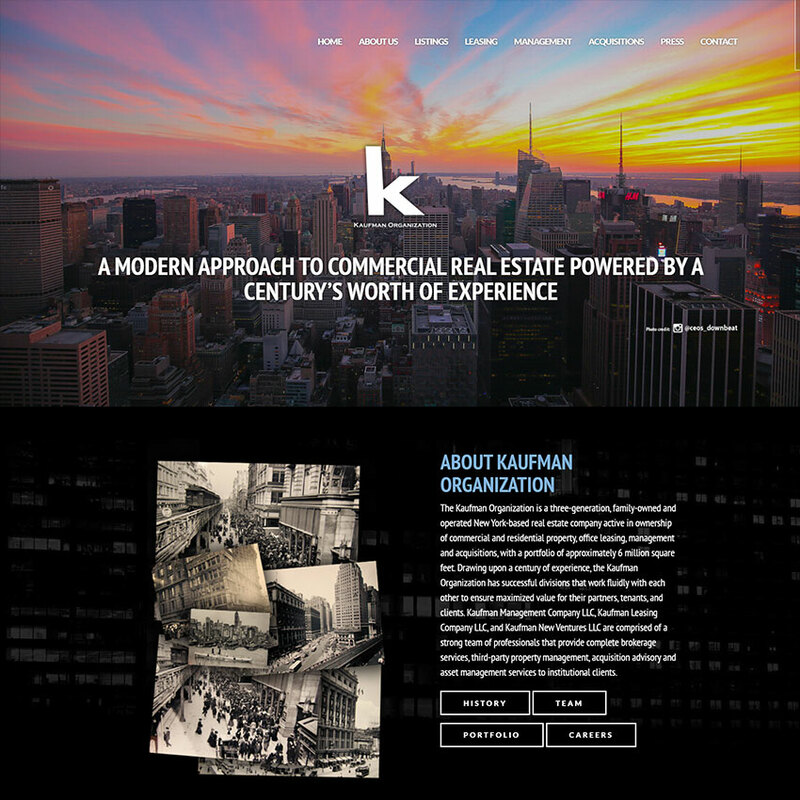 From that one project, we formed a relationship that serves multiple departments and has lasted nearly two decades..
Today, KathodeRay supports their acquisition and leasing teams to attract tenants to their newly acquired and revitalized properties in New York City. We are essentially their marketing department - handling requests from many team members. Their branded website serves as a vehicle to promote the full spectrum of services offered listing, leasing, and property management. Agents keep in touch with their prospects with Flyers and Emails. 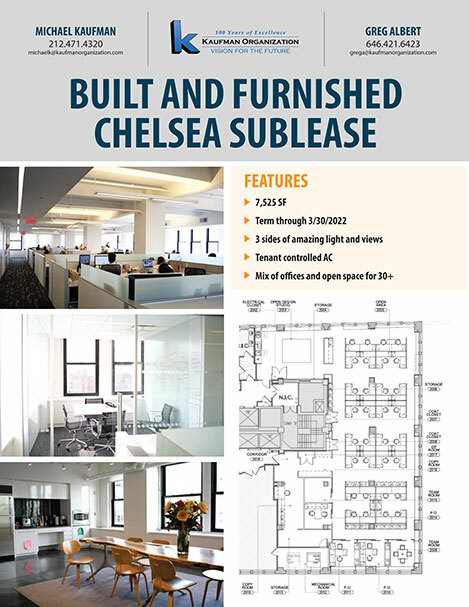 Property-specific websites help prospective tenants locate available space for lease. 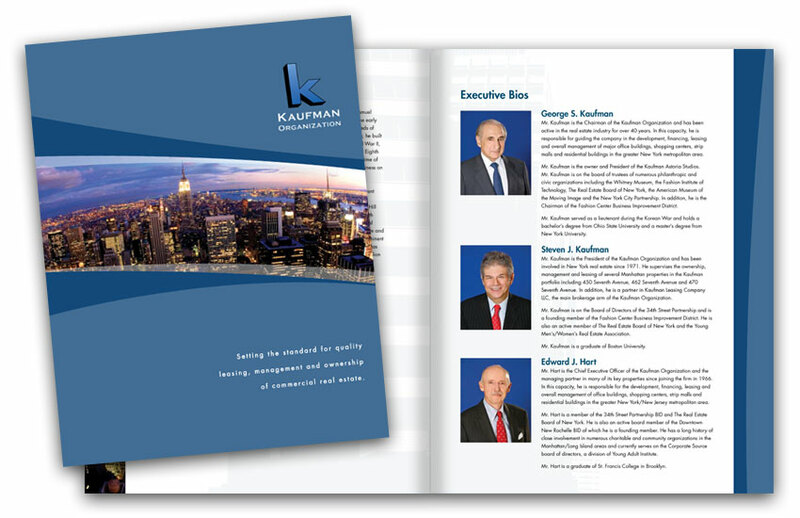 An 8-page brochure gives a complete overview of the company, its team and holdings. This elegant design was created as the front of a deck of cards.